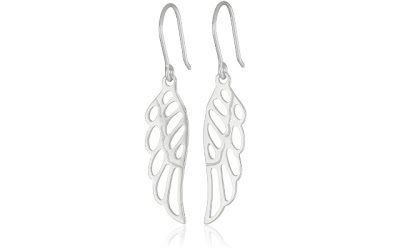 These Sterling Silver Angel Wing Drop Earrings are currently selling for just $12.00 on Amazon.com! You will be saving 70% off the listed price of $40.00 with this jewelry deal. What I like about these sterling silver earrings is the feeling of whimsy that comes along with the design. Angel wings would make the perfect gift for a girl who is truly an angel or a girl who is a little devilish!